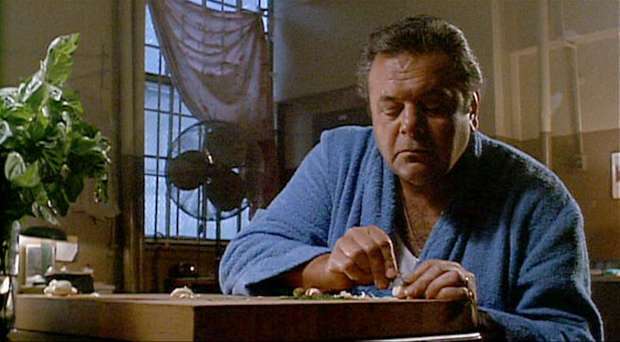 This weekend marks the twenty-fifth anniversary of Martin Scorsese’s Mafia epic, GoodFellas. 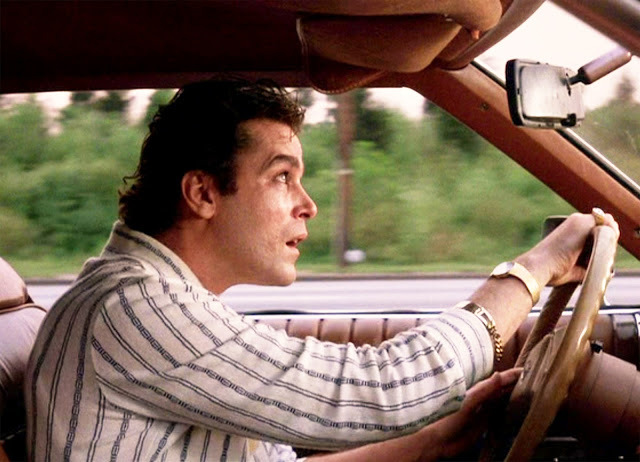 The sequence in the film over the course of May 11, 1980—when Henry Hill’s frenetic day of selling guns, dodging helicopters, and cooking dinner screeches to a drug-bust halt—often comes to mind when I’ve got several projects rolling at once. Nothing like having three hefty proofreading jobs, a copyediting project, a pile of author’s query responses to resolve, and an editing test for a new client in house at once to have you humming “Jump into the Fire” or “Monkey Man” while swapping among them. I have yet to be followed around by helicopters, but I have occasionally been run into the red while multitasking! I love being busy, but I am trying to be smarter about reserving time for myself by taking truly work-free days off and imposing better air traffic control on incoming projects. Some of my clients offer jobs weeks in advice, while others only email me when the materials are in hand. This makes predicting the next couple of months a crystal-ball affair. Knowing my clients. This publishing house is quite prolific. In fact, the editor offered me two other editing jobs along with this one. (The other two would’ve started immediately, and my late September is booked up.) I’m in touch with a whole bullpen of editors at this company, so odds are good that one will ring in with another giant project later this year. Old acquaintances. I had to offer reluctant “no”s to a couple of editors during a frantically busy spring. One editor is a longtime client; the other, somewhat newer, offered a pair of weeks-long book projects I knew I’d have enjoyed. I plan to contact them both this month to get back into their rotation . . . and if I shake their trees, I want to guarantee I can catch any falling plums. Shifting schedules. Two jobs I booked in midsummer have moved forward twice, and I suspected they’d nudge into October, so I felt it wise to leave time for those potential shifts. This suspicion paid off later that day; the editor confirmed the books would indeed arrive next month. So I evaded a potentially huge schedule jam. Autumn beckons. Fall is my favorite season. Last autumn, I was buried far too often with work, sometimes during weekends, and I didn’t get out as much as I should have to read, tromp around in nature or NYC, or do anything but stare at a screen. It was bad for my soul. To take fullest advantage of fall, and to reboot my noggin amid projects, I would like to keep at least one work-free day per week for such seasonal frolics from now through winter’s first growl. I have faith that more jobs large and small will come my way, but I’ll only see a set number of autumns. I’ll leave the wall-to-wall work for winter, which—if it’s anything like the last one—will see me hunkered down between blizzards. Back in my first couple of years of full-time freelancing, when I was more frequently without any work at all, I’d grab everything that came my way. That’s a tough reflex to overcome sometimes, even now—even after not heeding the above points landed me in huge, weekend-consuming traffic jams of projects all due at the same time. Resisting that urge, and trusting that the relationships I’ve built through hitting deadlines and doing good work will continue to bring me fascinating and profitable editing and proofreading projects, are why I have the chance this fine Saturday morning to take a stroll in the cool of waning summer, spend extra time at the gym, and—if I’m feeling adventurous—maybe even get a huge pot of tomato sauce going before relaxing with a spot of Scorsese. Now I just gotta go slice the garlic really thin so it liquefies in the pan with just a little oil. . . . While reviewing your suggestions on a health communication book I revised recently, I was so impressed with your knowledge of health care and your acumen with language that I paused to look up your work online. Wow! It’s no surprise to me that you are an accomplished writer and an expert in the field. I loved this article and am more grateful than I can say that you said “yes” to my project.